Enjoying cooking is all about confidence, being relaxed and understanding your ingredients. You’ll experiment with new flavors and combine the freshest ingredients with techniques, to build your knowledge of Thai cuisine. Our courses are conducted with a master chef yet relaxed atmosphere – the ideal way to combine a holiday with enhancing your culinary expertise. An opportunity to really dive into the joy of cooking and try your hands at becoming Thai cooks. 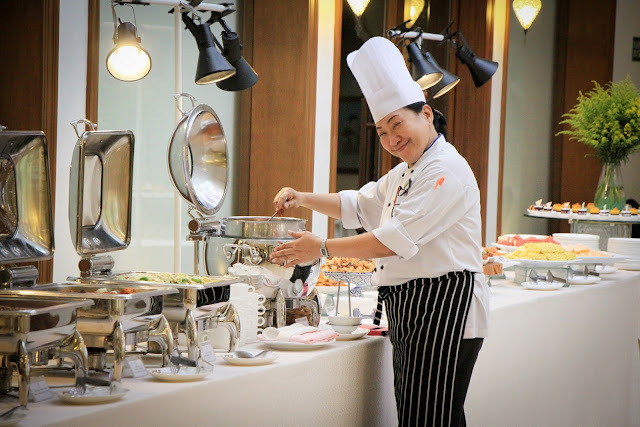 Courses are short courses, conducted in English by Thai professionals chef, offer to anyone from beginners as well as experienced cooks, and perfect for those with limited travel time, too. Our master chef will guide you through a session of “completely hands-on“ fun filled courses with emphasis on the art of Thai cooking in a relaxed social environment. The courses concentrated on local Thai cuisine using the freshest local seasonal produce. You will be learnt during the class: traditional and practical Thai techniques as well as the substitutions to Thai local ingredients in which to ensure you can prepare the dishes authentically and when you home. The courses run daily Monday - Saturday. Afternoon time 1 pm - 5 pm. Eat what you have cooked. All rates are quoted on a per person per course· All reservations are subject to availability at time of booking and prices are subject to change without prior notice. Please reserve 1 day in advance.